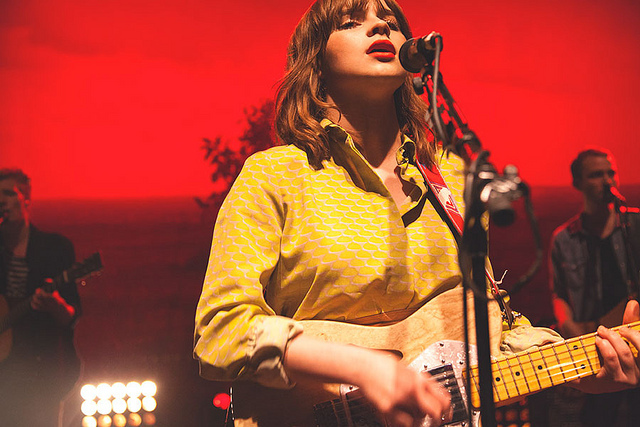 Gabrielle Aplin feels very happy with the release of her new song 'Heavy Heart'. The new song is from her forthcoming album 'Light up the Dark' which stands on top at the Radio1 C list making the singer fly high these days. 'Light up the Dark' comprises everything that is expected to give the singer a new era of success and fame. The 22yrs old Aplin attracted the nation with her awesome performance and gathered a huge fan following after her online panorama It is worth mentioning here that Gabrielle Aplin's debut album 'English Rain' was a blockbuster hit promoting 63.5 million plays at Spotify; 80 million YouTube views; 1.5 million single sales; and number 1 chart ratings in the United Kingdom and Australia. The British singer recently had her friendly show at Wilton's Music Hall that saw a rapid sale of show's tickets merely in ten minutes. She has planned her upcoming tour to UK just after the release of 'Light up the Dark' on September 18 this year.